offerings to provide our clients with maximum care in the field of freight forwarding and logistic services. and is engaged in domestic and international freight forwarding, specializing in express deliveries. Our experienced team is always available, flexible for your needs. We are able to send price quotation in few minutes. We are able to send price quotation in few minutes. Through systematic cooperation with contracting domestic and foreign carriers, we have a fleet of small vans to trucks with a load capacity up to 24 tons with a tilt trailers, as well as the type of special trailers Frigo, walking floor, double-decker. Daily we have available through multiple forwarding databases of thousands of vehicles across Europe. In the case of regular cooperation creates solutions "tailor-made" and particularly with a view to optimize transportation costs and the flow of goods. We also provide air and sea transport, in addition to providing additional services such as transhipment, storage, packaging materials mediation or customs declaration. We advice by e-mail about collection and delivery of your shipment. 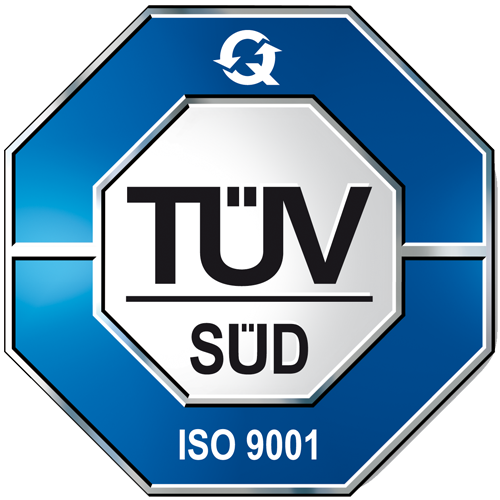 We conduct business in accordance with the requirements of ISO 9001: 2008 and placed on the quality of care, leading to a constantly improving. Customer satisfaction as the basis to "motive power" the customer is the center of our attention and the best motivation for the future is just a satisfied customer. Universal Forwarders employees are professionals with years of experience in the freight forwarding. We strive to build long-term experienced and technically advanced working team that contributes to the realization of our goals. We are a full member of the Association of Logistics and Freight Forwarding of the Slovak Republic. Customer satisfaction as the basis to "motive power" . We create solutions "tailored" particularly with a view to optimizing transport costs and the flow of goods. We provide personal and individual approach. The customer is at the center of our attention and motivation for the future is for us satisfied customer. Our characteristic is particularly decision-making speed and professionalism. Universal Forwarders employees are professionals with years of experience in the logistics and freight forwarding. We strive to build long-term experienced and technically advanced working team that can offer customers what they need quickly and reliably. We develop trade relations only with those business partners who are long-lasting reliability. We conduct business in accordance with the requirements of ISO 9001:2008 and placed on the quality of care, leading to a constantly improving. Universal Forwarders company puts great emphasis on extra payment discipline and supplier guarantees the timely implementation of all commitments. Cooperation with Universal Forwarders is a guarantee of success and satisfaction of both parties. Janka is in charge of forwarding department, the coordination and organization of road transport, communication with customers and suppliers, taking orders, processing of freigh quotations, is a specialist in superior customer service. She most like express shipments, transport JUST IN TIME and help to our customers to coordinate their supply chain. Nothing will not please her more than a satisfied customer. Janka has over 10 years experience in the field of transport, logistics and forwarding , for example worked at Bosch in Germany. In our team is from the the year 2013. Martin participate in personal visits to clients, tenders for domestic and international freight, happy for you to develop a comprehensive quotation in the transport sector worldwide. He provide services in the sale of euro pallets and packaging materials. Martin has responsibility for economic and personnel matters, financial planning, quality management ISO 9001:2008, deal with any complaints and remedies. In the transport sector operate since 2005, in 2012 established the company Universal Forwarders, where development still hard at work. Rado is dedicated to providing domestic and international freight transport, whether it is "FTL" or "LTL". He provide also express deliveries and transportation JUST IN TIME. Prepares freight quotations, communicate with suppliers, customers and provides customers with comprehensive service. Rado has extensive work experience in the field of freight forwarding, in the past he worked 5 years for DHL. In of our team is from 2014. Miro is responsible for domestic and international freight shipments, collection service, processing quotations, communicate with suppliers and customers, that is doing all it can to offer customers first-class service. He has extensive work experience in the field of freight transport, he is dedicated to him since 2004 and previously worked for more than 5 years at DHL. Our team members is from 2015. Petra is in charge of the entire operation of the company administratively. She receives and issues invoices, credit notes, communicate with suppliers and customers, handles mail and is cash dek. Petra is extremely responsible and always know that we can rely on her. Previously, she worked for seven years in a similar position of Samsung Electronics Slovakia. A member of our team is from 2015.